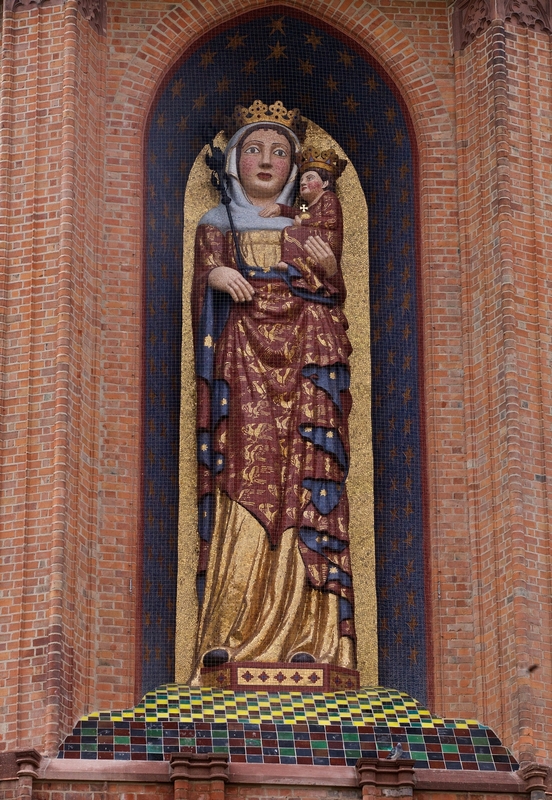 The monumental 8-metre figure of Madonna with Baby Jesus was the largest medieval sculpture in Europe. The figure was made in 1340, when the order chapel was expanded and turned into a Holy Virgin Mary Church. The figure was made of synthetic gypsum, originally with polychrome decorations and gold plating, 40 years later coated with gold and coloured glass mosaic.For over 600 years Madonna served as the symbol of the castle and the town. Year 1945 proved to be tragic for the castle and the entire town of Malbork. The tower and the church were destroyed during the war. The figure was smashed into pieces. In the 1960s the church was rebuilt – without the Madonna figure, however. We had to wait as long as 71 years to be able to enjoy the splendour and majesty of Madonna. 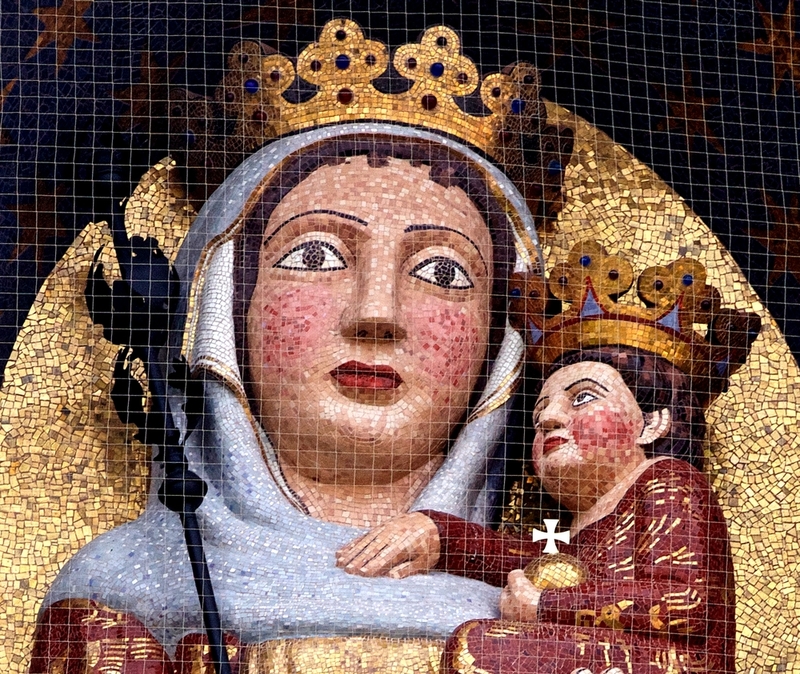 The reconstruction of the figure of Madonna with Baby Jesus was possible largely due to the contribution of Mater Dei Foundation, set up in May 2007 on the initiative of the Society of Malbork Guides. The reconstruction of the figure was a part of the Malbork Castle Museum project entitled “Conservation and construction work at the Holy Virgin Mary Church complex at the Castle Museum in Malbork”.